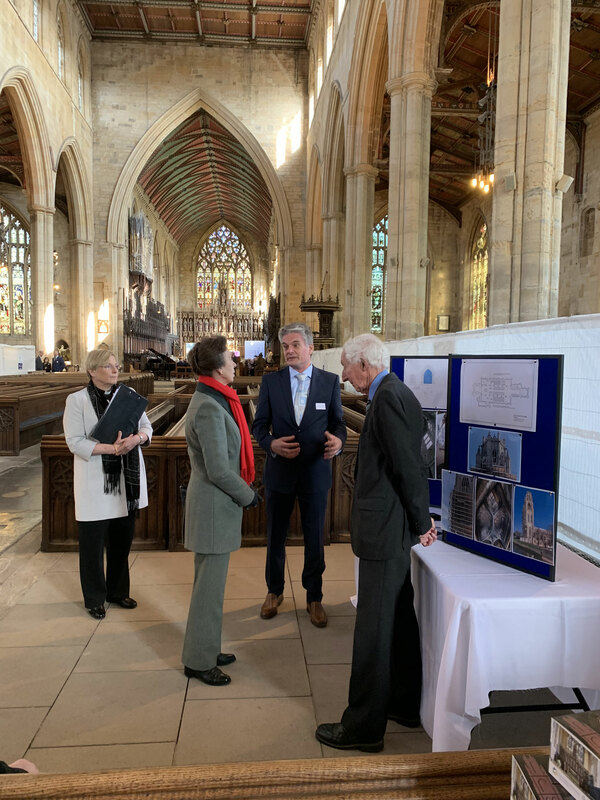 I had the pleasure of meeting Her Royal Highness The Princess Royal at St Botolph’s Church yesterday when she attended the official launch of the ‘Guild of St Botolph’s’. Patron of the Boston Stump Restoration and Development Appeal and a ‘regular’ visitor she spoke very fondly of the church. Introduced by Rev’d Aly Buxton, Her Royal Highness took time to speak to everyone about their role in the building project. There was a presentation about historic guilds, followed by a short talk by HRH Princess Anne when she launched the ‘Guild of St. Botolph’s’ Fundraising Scheme. The Guild of St Botolph’s will offer exclusive membership through a monthly or yearly subscription and any funds raised will go towards the restoration and development fund to secure the future of this magnificent church. The church have been looking at other ways to raise funds for their ‘A Passion for People’ project and are currently selling ‘adopted’ flagstones, of which HRH The Princess Royal was presented with a Flagstone Adoption Pack to commemorate her visit.